In a continuously expanding market like the pellet one, whose consumption only in Italy is set to exceed 3.5 million tonnes in 2015, quality represents a decisive factor for consumer protection. Unlike what is commonly thought, geographic origin is not by itself a warranty of quality. The only real index of pellet quality is certification. 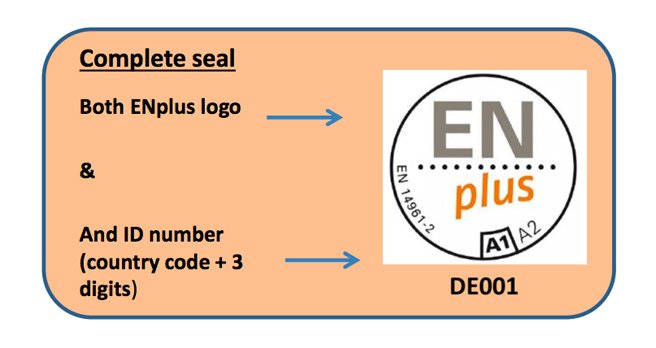 Although there are a number of entirely valid certifications (such as the German DINplus mark for instance), AIEL, Italian Association of Agri-forestry Energies, supports the European certification ENplus, the only one that assures high quality standards along the entire supply chain. Purchasing ENplus marked pellets means being confident of a product with precise chemical, physical and energy features, as well as of the maintenance of quality throughout all its stages, from raw material procurement to delivery. The growth in the pellet market is unfortunately going hand in hand with an increase in commercial frauds connected to illegal use of the certification marks. The only way to defend oneself is to be provided with the tools to independently ascertain the truthfulness of the mark. producer or distributor's name (responsible for marketing). The absence of the progressive number that identifies the producer or distributor (from 001 to 299 if a producer, from 301 to 999 if a distributor) next to the country's code is one of the most conspicuous marks of counterfeiting. AIEL, as the association responsible for the ENplus certification in Italy, in cooperation with ENAMA, has been working for a long time on raising consumer awareness, as well as on starting a marker monitoring and control system to be able to clamp down any commercial frauds related to illegal use of the certification marks. The same are doing the others national pellet associations that license ENplus, i.e. the UK Pellet Council (www.pelletcouncil.org.uk). Therefore, if you have any doubts or wish to report illegal or fraudulent use of the ENplus mark, you can write to the local associations listed here or fill in the fraud form found on the European website: http://www.enplus-pellets.eu/fraud/. Mrs. Annalisa Paniz is one of the main operators at AIEL, the most important Italian association of the Wood Energy supply chain. It has more than 300 members and is divided into interest groups, that is groups of companies operating in the same specific segment of the supply chain (professional biomass manufacturers, producers and retailers of pellets, biomass electrical appliances, boilers and mini cogeneration applications, biomass systems installers and maintenance technicians). The association's underlying theme has always been quality, which is essential to strengthen credibility in the sector. This is why the companies which form part of the various groups must have reference certifications: professional manufacturers must follow a program to gain a quality certification to offer chips and firewood that comply with the standard. Pellet producers and retailers must have a certification based on the ENplus scheme and technology manufacturers (stoves and boilers) need to have one based on European reference standards.